Some jobs and activities have a protocol where the applicant is required to undergo a medical examination form to ensure that he/she is fit for the task. In such cases, the authority concerned makes use of a Examination Forms. The form comprises of various subheads that help the authoritative person to check the person against certain predefined parameters. This, in turn, helps the higher officials to decide if the applicant is fit for the task or not. Before enrolling into a scouts program, a person is required to undergo a Medical Examination Forms. The aforesaid form comes in handy to record the findings of this test. 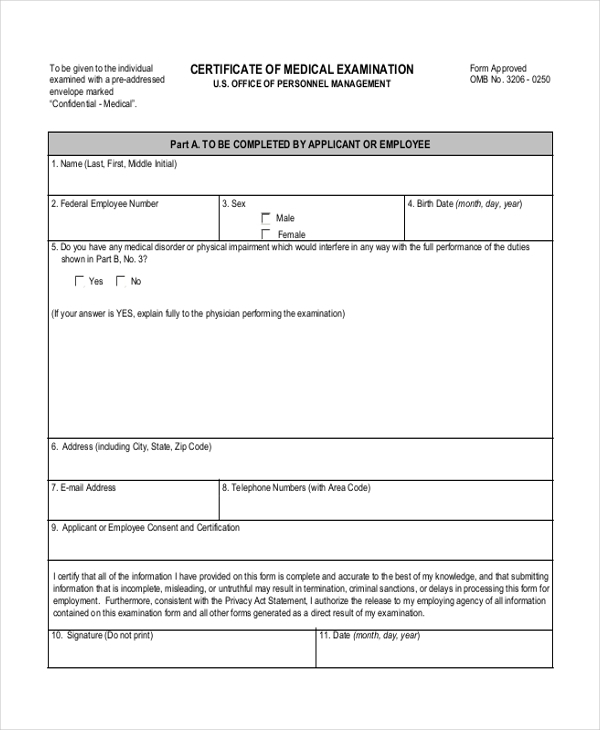 A person conducting the physical examination of an applicant uses this physical examination form to check that he/she is physically fit to undergo a task that he/she might have applied for. 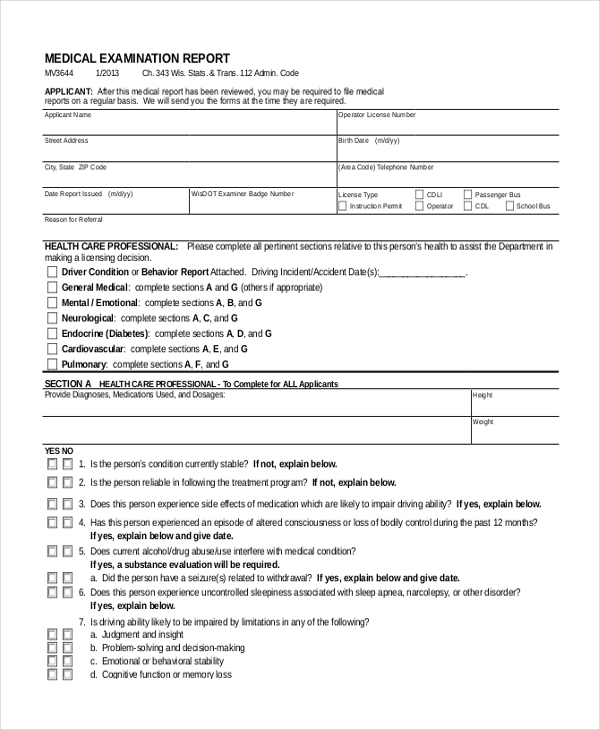 This form is used by a person to submit the report of a medical examination to higher officials, that he might have conducted on an applicant to check his medical condition. 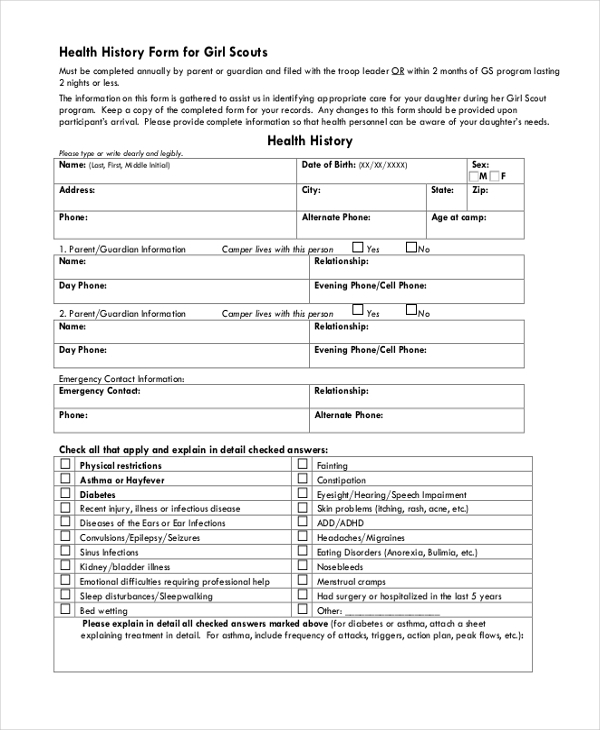 This health examination form is used by a government department to check the medical condition of a person before granting him a permit to carry out a particular task. This form is used by an army official to record the details of the medical examination conducted on the applicants. 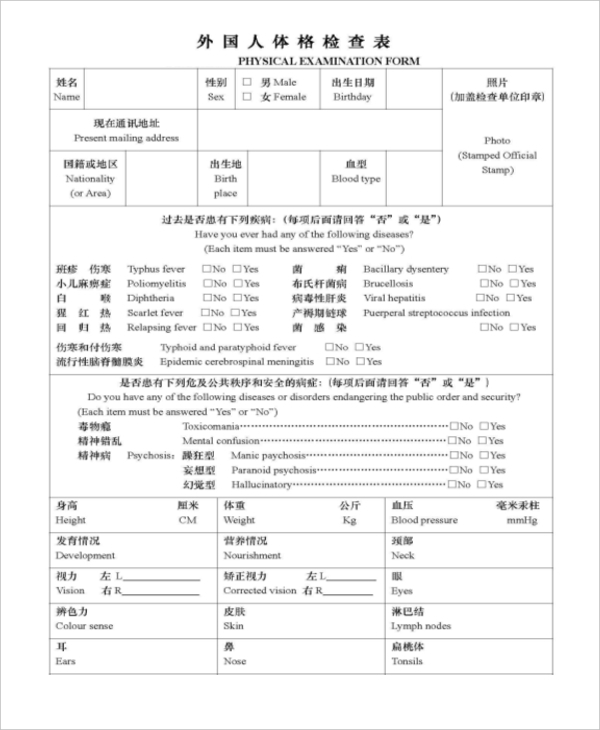 An official, who might be responsible for ascertaining that person who is applying for a driver license is medically fit, uses this form to record the findings of the medical examination. 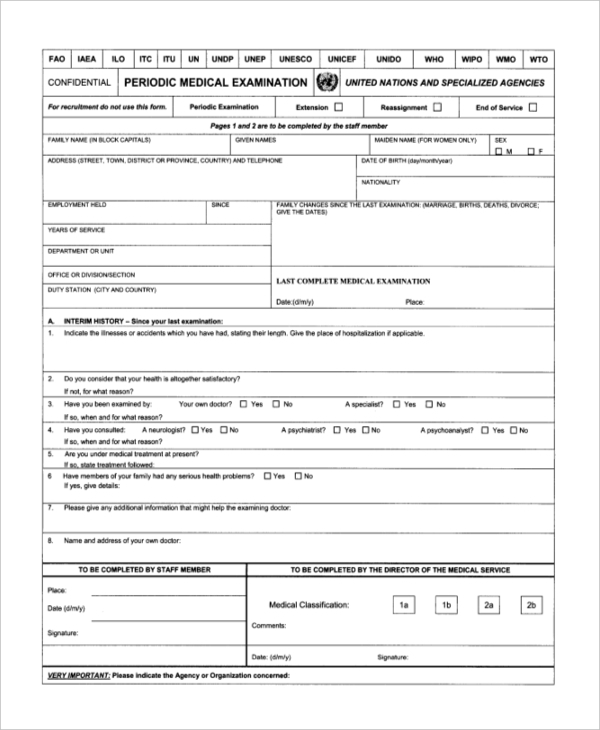 This form is used by an organization to document the details of the periodical medical examination that it conducts on its employees. 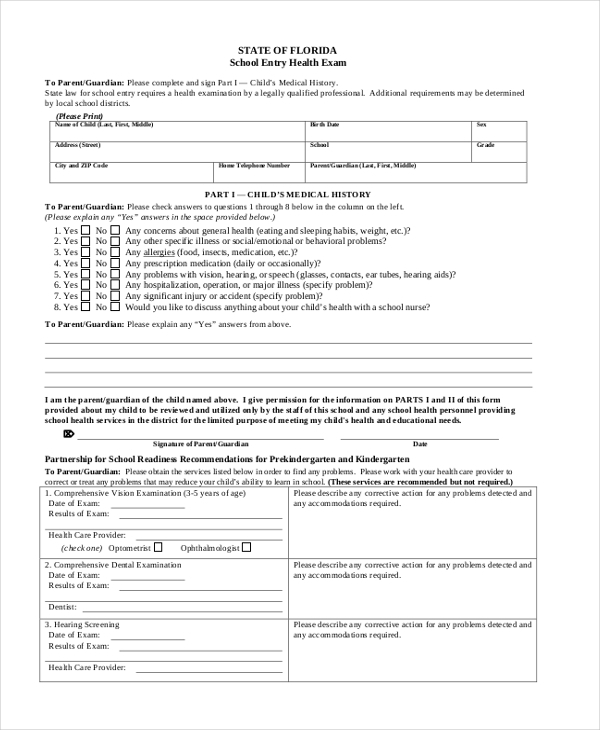 As the name indicates, this form is used by school authorities to record the details of the medical examination that they conduct on their students and staff members. The government conducts a medical examination of the people who might have applied for a visa to travel to another country. 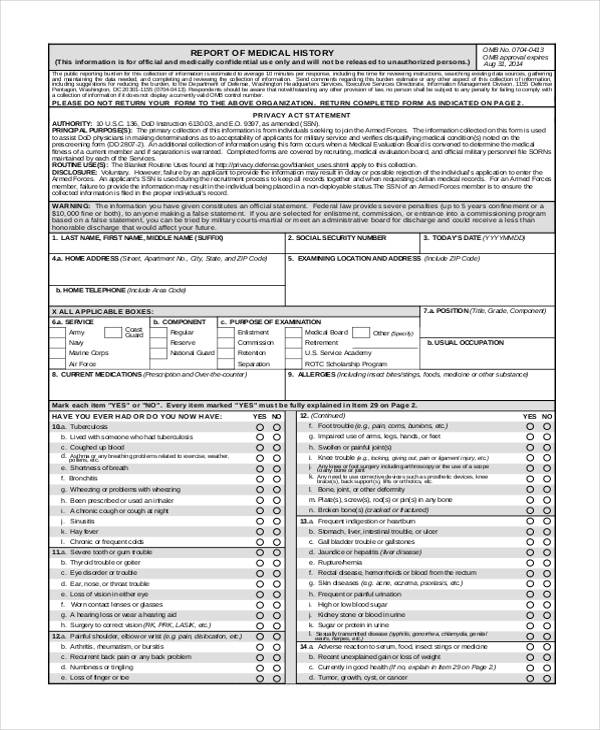 This form helps in recording the details of this examination. This form is used by an authority to grant a medical certificate to a person after conducting a thorough medical examination. This certificate may come in handy for various purposes like for leave sanctions, permits etc. What are the Benefits of Using a Medical Examination Form? 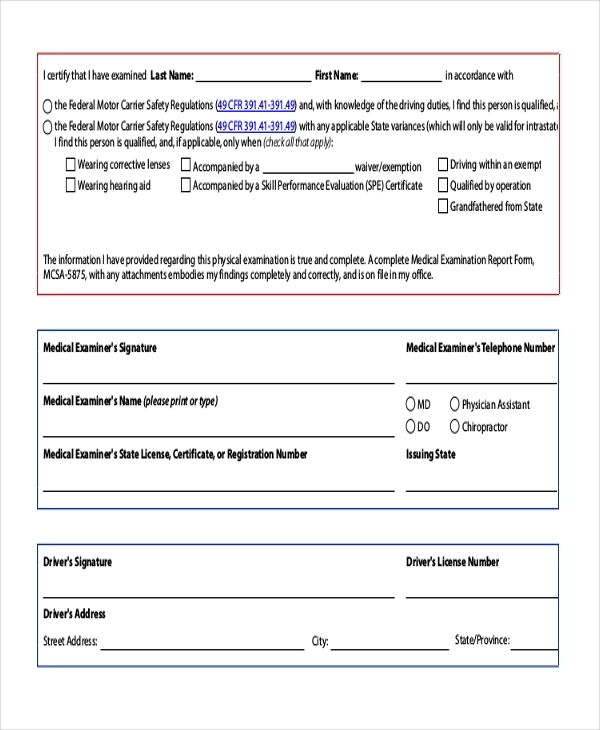 What are Important Things to Keep in Mind when Designing a Medical Examination Form? A well designed medical examination form can make the whole process easier. It also helps in organized recording and reporting of the data collected. 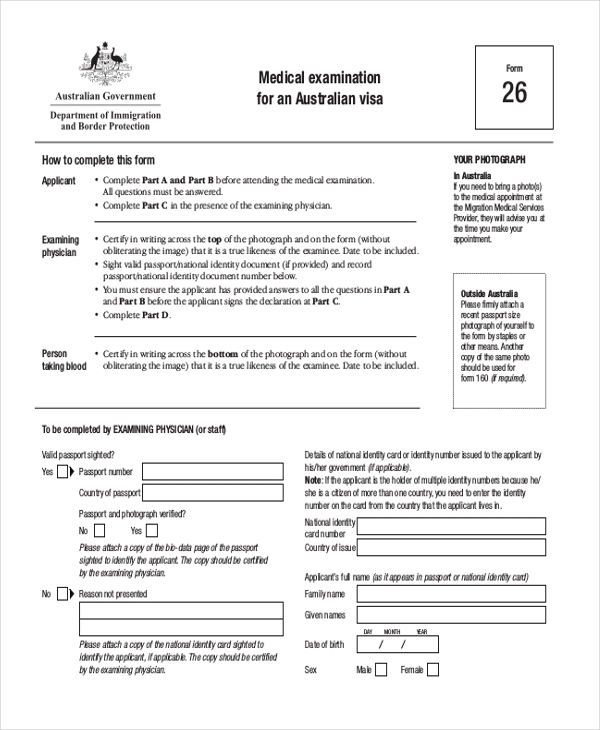 In case, you are not sure how to design such a form, take a look at our collection of medical examination forms. 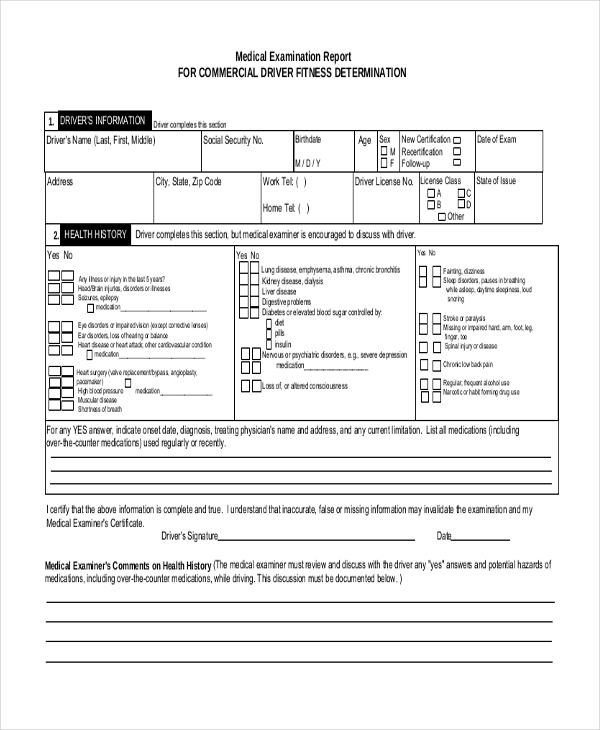 These forms are easy to download and can be customized as per your needs. You may also see Physical Examination Forms.